EduPristine>Blog>How to market your brand on LinkedIn? LinkedIn is much more than a platform for finding the jobs. What if I tell you that you can grow your business by marketing your brand on LinkedIn? Yes, that’s true, if you use it in a right way then LinkedIn can prove to be very helpful in getting you the business just like Facebook, Twitter and other social media platforms .But unlike all the other mediums, LinkedIn has different kind of audience altogether. You cannot push your brand forcefully by spamming and cannot indulge in hard selling; you need to follow a different approach that is professional and to help you with that we bring to you certain tips that will surely help you in LinkedIn Marketing. Firstly, create a company page if you don’t have one already. Having a company page will help you to create brand awareness as it will provide you with the options of promoting your products or services to the prospective consumers. While creating a company page, keep your target audience in mind. Make sure it gives out all the details that your audience will be interested in knowing. Add your specialties, give link to your website and give links to your other social media platforms. Customize the URL of your company page for better appearance. LinkedIn company pages usually rank high in Google search as well so it will make it easier for people to search for your company and connect with you. Once connected, you can always push updates to them via your LinkedIn page. •	Promote your company page on your other social media profiles. Post great content so people who have followed you don’t feel disappointed. Don’t just spam links to your company page as that will make you lose followers as well as respect. Post stuff that is valuable to your contacts as well as hold certain value to your brand as well. Create a group that is related to your industry specifics and post content regarding the latest developments and you shall see people engaging automatically. For example, if you are into photography, you can ask people about their reviews on the recently introduced camera and you will see comments flowing in. You can take Search Engine Land as a live example. Their group on LinkedIn is extremely helpful for anyone in the Digital Marketing field. Just participating in your own group won’t do. Try participating in other groups of your interests and give your valuable inputs. This will make people aware about your existence and the existence of your company. Whenever you make a new connection on LinkedIn, thank them for connecting and pursue them to subscribe them to your email list. You can add a direct link to your email list signup. Mention in the message what mails they can expect if they signup and assure them that you won’t spam. This won’t always work as people are a little apprehensive to sign up to an email list unless they foresee something interesting. But even if 25 people out 50 sign up, your efforts have paid off. There are no set of rules which will help you excel in LinkedIn marketing. It is all about trying a lot of methods religiously and I’m sure some of them will pay off. 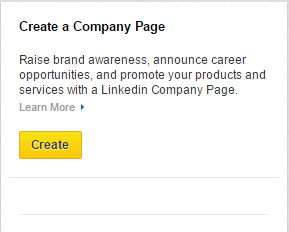 Showcase pages on LinkedIn are an extension to the company page. If your company has various product lines and if all of them are targeted to different audience then you can build a different showcase page for them. The members on LinkedIn can follow the showcase pages that they are interested in. This will help you to target the specific audience that is interested in your product. Just like Facebook and Twitter , LinkedIn too provides you with the option of advertising. You can promote your website, LinkedIn company page, your own profile or any other page that you think will bring returns. LinkedIn provides you a lot of options to decide the scope of your audience. 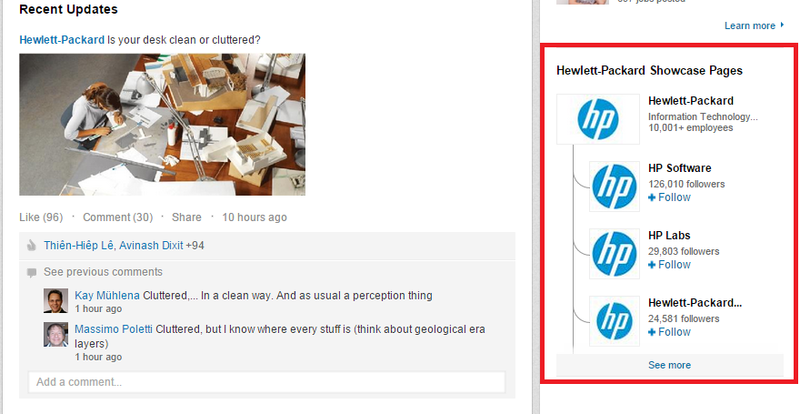 You can target your ads on the basis of geography, gender, age, job function, specific industry, LinkedIn groups etc. Your ad will be visible on top, bottom or right hand side of your audience’s profile. It can contain text, image or both. Last but definitely not the least; don’t forget to build relationships with your customers, partners, other business owners etc. In fact, whenever you meet any influential person or other professional at social gatherings, make sure that you search them on LinkedIn and connect with them. It is a great way to expand your influence and create awareness about your business which will help you to build a solid brand image. LinkedIn can prove to be very fruitful, if used in a right way. Take your audience seriously, try to participate in as many discussions as possible, connect with the right people, develop a marketing strategy and follow the above steps and you’ll see your brand fly high.